Our free Libra horoscopes and astrology forecasts single out the best Libra horoscope predictions daily, weekly, monthly and yearly for males and females. Daily Libra horoscopes are featured by astrologer, coupled with reviews of astrology websites, like we do with the monthly Libra horoscopes. Our weekly Libra horoscopes feature links to Libra horoscope forecasts by astrologer and are also organized according to the day of the week on which they are released. We've clocked well over a thousand hours to find you the best Libra horoscopes and astrology predictions for Libra on the web. Our astrology forecasts for men and women include Libra yearly horoscopes for 2019, covering the whole year ahead. You might like to have a look at our zodiac profile featuring personality characteristics and traits for a man or woman. Visit the Libra love horoscopes too, which focus on their relationship astrology as singles, partners or couples. Libra is the 7th sign of the zodiac in western astrology and is the second of the air signs. Well known for being fair and just the Libra symbol is the scales. Interestingly, this is the only zodiac sign represented by an inanimate object. Libra is also very social and possesses the character traits of elegance, beauty and charm. As a cardinal air sign, Libra has some things in common with Aries, Cancer and Capricorn (cardinal signs) as well as Gemini and Aquarius (air signs). Libras love communication for the sake of beauty. These men and women treasure and promote harmony. It's no wonder, since like Taurus, a Libra man or woman is ruled by Venus, the planet of love. These tendencies can also be seen in the natal charts of those with Libra rising or moon in Libra. The zodiac sign of Libra is a masculine sign, as are all air (Gemini, Libra, Aquarius) and fire signs (Aries, Leo, Sagittarius). More than any other sign, Libra men and women understand what others need. This sensitivity can even border on psychic ability! People feel good in the presence of female and male Libra, thanks to their optimism and orientation toward partnership and cooperation. However, they may stick to close to the middle ground so as to avoid blame. They seek the high road, but often settle for whatever will keep the peace, and they simply cannot be everything to everyone. To avoid blame is to avoid the risks in making decisions. Relationships tend to go well with Libra because these folks like to keep the peace and are oriented toward compromise. These peace keeping tendencies are characteristic in a Libra woman or man. They would rather lose something in the bargain if it protects the relationship and they tend to have lasting marriages. They are empathetic and tolerant, kind and loving. They enjoy beauty and harmony. On the shadow side, Libra can show a disdain for the dirty work. They can stray into shallowness or may be overly ambitious and sometimes even reckless. Their love for beauty and pleasure can cost them dearly in their occasional extravagances. Professionally, Libras are born diplomats, but you'll find them in every field imaginable. They are trustworthy and open to the ideas of others and value communication. With such deep rooted personality characteristics and tendencies, perhaps the legal profession, banking or the civil service will call to their sense of justice and fair play. If you would like to know more about Libra rising sign and Libra moon in western astrology, take a look at our astrology primer or our overview of all the western zodiac signs. You might also visit our section on the best astrologers online to get their views on Libra zodiac astrology. 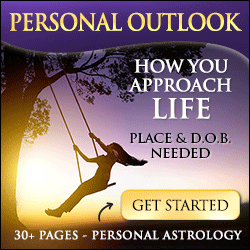 Be sure to bookmark our free horoscopes and astrology directory online and visit often. We save you the work of searching the web by compiling the best astrologers into one directory and the best Libra horoscopes daily, weekly, monthly and yearly! Our description of the sign of Libra is only a brief overview. For much more information about the sun, moon and rising sign of Libra in western zodiac astrology, we recommend the following astrologers. Whether you speak Francais, Deutcshe, Espanol, Dutch, Svenske, Portuguese or Anglaise, libra, we've got the best libra horoscopes online!